The internally routed brake cables won't get in your way or tangle up around your feet and it is nigh impossible to inadvertently damage or tear them out. The mesh on the bag is not exactly durable. 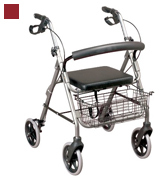 This model has wider front wheels for comfortable movement on asphalt even if the ground is uneven or cracked. This will optimize and ease movement even on rough surfaces. The frame is strong and will not bend, protecting the design and cables that are internally routed. Comes with a nifty bag that you can strap to your shoulder to carry the product when it's folded. 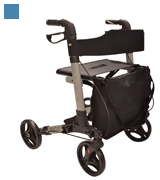 This eases transportation and storage of the rollator considerably. Some users complain about the wheels making noises when in use. This is an incredibly well-thought-out product: the brakes have heightened sensitivity, the frame is made out of an extra strength alloy, and the handles are coated in a way that prevents hand chafing. The seat is padded with soft memory foam that holds its shape extremely well for the duration of its use. As a result, even the lengthiest trips won't seem tiring. The brakes wear out rather quickly. 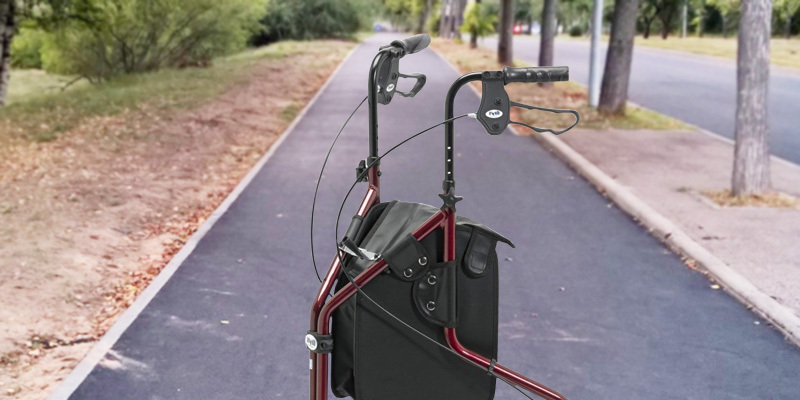 Should you need a rollator for comfortable use both indoors and outside, do not skimp on the Drive DeVilbiss Healthcare R8 that comes with wear-resistant wheels and has one of the most lightweight aluminium frames than most of its competitors have. The metallic basket can hold even rather heavy objects with no danger of breaking or ripping. Plus, there is a small zippered pocket beneath the seat that's specifically designed for holding daily essentials and valuables. The bearings that ensure soft wheel turning will need periodical maintenance. The Homecraft model is able to withstand the amazing weight load of up to 160 kg and thus, will fit anyone, regardless of his weight, size, or other body parameters. Will especially suit those that have fragile health as it doesn't seem to vibrate and rides over rough surfaces very smoothly and softly. Thanks to the compact overall dimensions and the weight of only 5 kg, the Days 240L is easy to take along anywhere you go. Even if you need to fold it - it will take you just a few seconds and won't put any strain on you. With just one front wheel this model is less manoeuvrable than its 4-wheeled counterparts. Are you looking for a cheap and practical 3-wheel rollator to provide efficient support while walking? Choose this one and remove strain from your locomotor system. Are you looking for a folding rollator that will deliver in every respect and provide you with unmatched mobility? 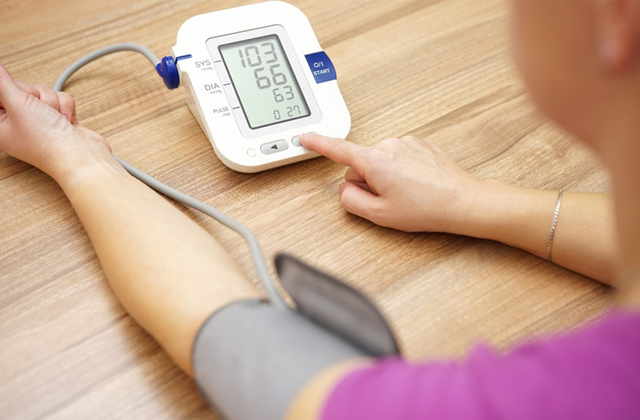 Then the Drive DeVilbiss Healthcare Black Nitro can be the right solution! This sturdy and smartly designed walker is able to bring unspeakable relief to the locomotor system of anyone and make his life and movement much easier. First off, the extra wide front wheels are easier to manoeuvre which makes walking with this product far easier than with most of its competitors. Plus, the brake cables, which are usually rather flimsy and exposed on other rollators, are here tucked away safely and routed through the frame of the walker so that a user could not damage them easily. 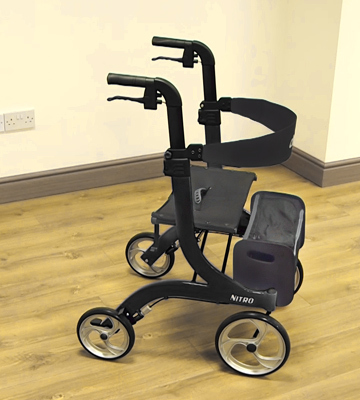 Of course, this is not just a basic rollator walker with a seat as it features a proper brake locking system ensuring that it stays firmly in place and doesn't roll on slanted surfaces. 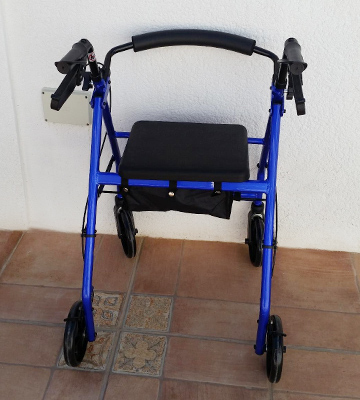 Furthermore, it comes with a soft backrest to keep your back supported and properly aligned in order to prevent it from aching through longer use of the rollator. 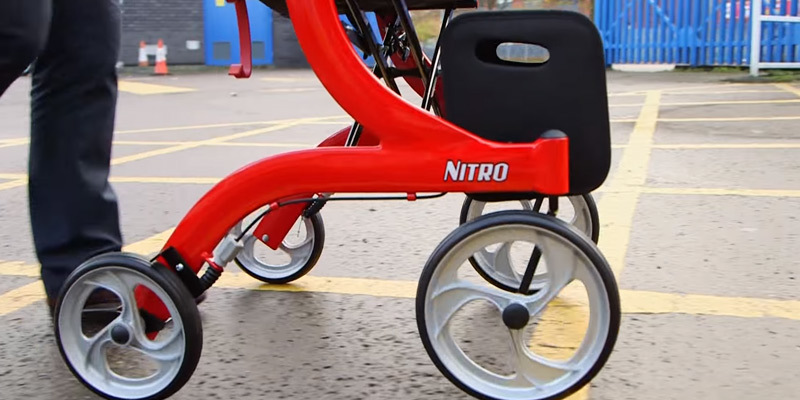 Designed with the user safety and comfort in mind, the Drive DeVilbiss Healthcare Black Nitro is the type of rollator you could consider buying to anyone, be it you, someone from your family, or your friend. 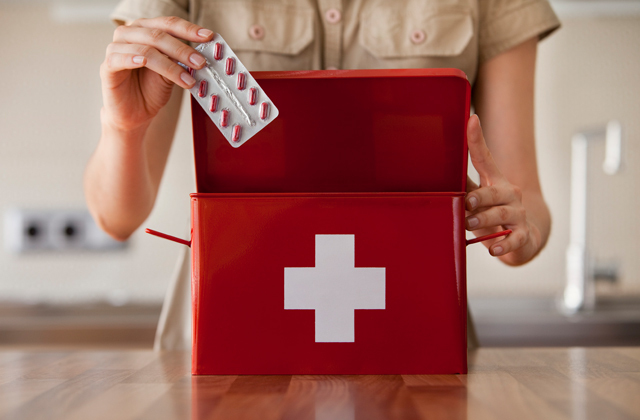 It will help anyone recovering from injuries get back to the active lifestyle in a short time. All in all, it’s hard to find any significant flaws with the Drive DeVilbiss Healthcare Black Nitro. The mesh in the bag that comes included with the purchase is probably the only thing that could have been improved as it looks quite weak; however, it will only get actually damaged by some heavier object which you're unlikely to carry anyway, and even if you do and the mesh tears at some point, you won't have a problem repairing it. 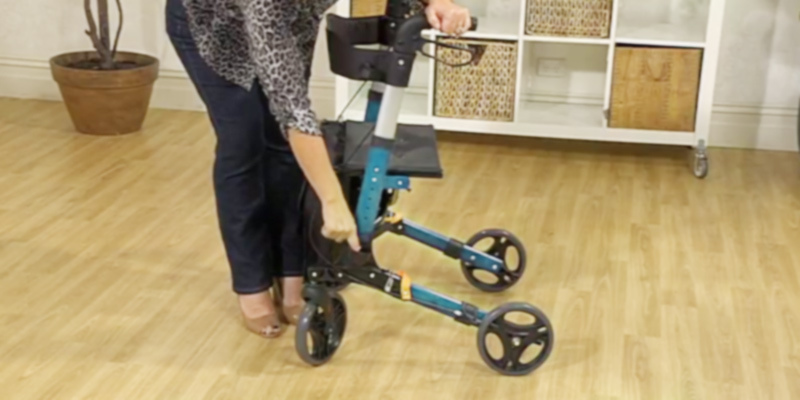 Are you afraid that a walker you wish to buy might bend or break too easily under heavy use? 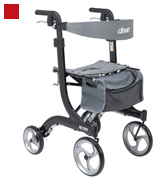 Chase your worries away with the Elite Care X Cruise 4 wheel rollator! This model has a frame made of an extra strong alloy that can endure an incredible amount of pressure and withstand wear and tear. However, it is not only durable but also very convenient to use due to the fact that its hand grips are coated with a special solution which prevents hands chafing making each ride as comfortable and relaxing as it gets. Elite Care company has also heightened sensitivity on the brakes for extra security, which in combination with a solid and robust construction of the rollator contributed to its better control and stability. The Elite Care X Cruise 4 wheel rollator comes equipped with a bag but, unlike many other models with bags, the one included with the purchase is big enough to accommodate the rollator itself. Just fold the walker, put it in the bag, sling it over your shoulder and off you go. What this also means is that you do not need to purchase a specialised bag for transporting and storing the rollator additionally. 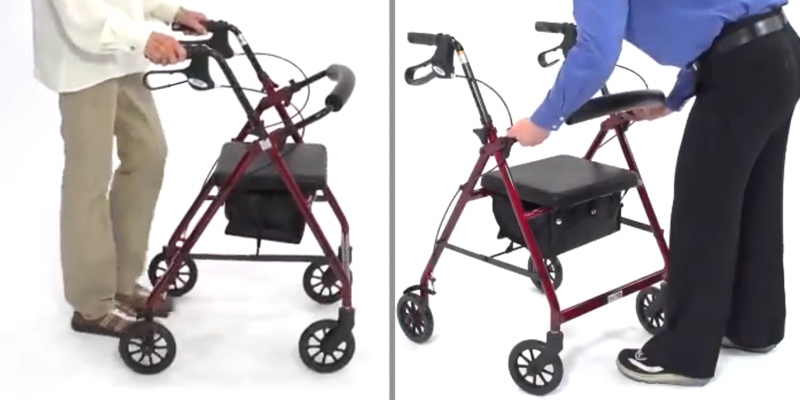 The Elite Care X Cruise 4 wheel walker will be perfect for anybody who has come in the market searching for an extra safe and heavy-duty walker to balance and restore their mobility. It's well-made, decidedly unbreakable, and will serve you both as a means to lift strain off your locomotive system and as a comfortable and secure way to travel long pain-free. 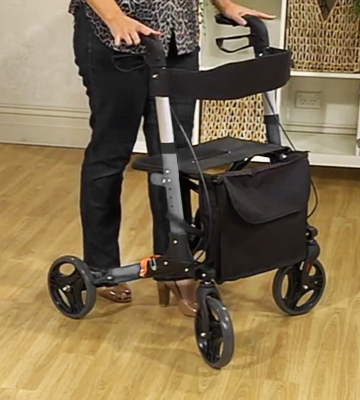 If you require a good walker that can support a lot of sitting all while not being too heavy or cumbersome, take a look at the Drive DeVilbiss Healthcare R8. Like all products produced by Drive, the rollator in question bears a mark of high quality featuring a memory foam seat that not only provides a comfortable fit to a user but also allows for longer use without causing physical discomfort. 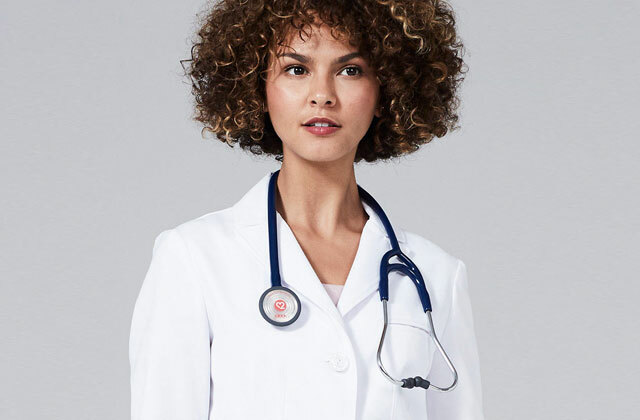 The Drive DeVilbiss Healthcare R8 is incredibly compact in dimensions and easy to carry making it a perfect choice for customers whose primary concern is portability. 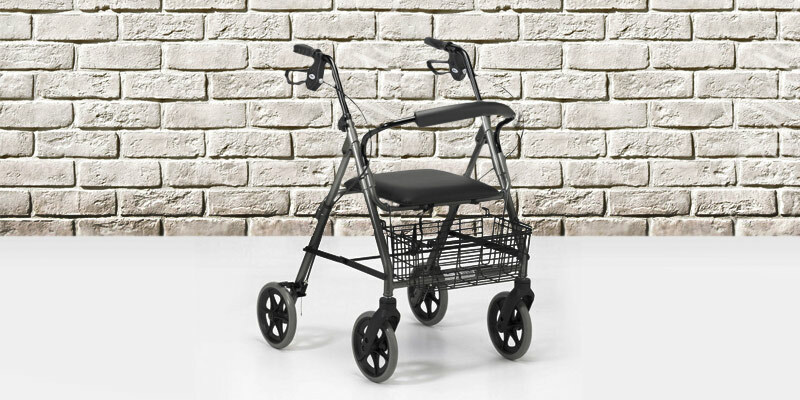 While being very light in weight, the aluminium rollator frame is highly resistant to damage and bending so you can both fold and pack it in easily not worrying about ruining the delicate alloy. And when folded, it ends up so small you could carry it virtually anywhere without any problems. Though Drive company prides itself on being a manufacturer of quality products using only reliable materials, the Drive DeVilbiss Healthcare R8 rollator does have a slight flaw that we'd like to mention. Compared to its competition, the brakes on the R8 tend to wear out considerably faster than most of us would like. Still, we do not take it as a big issue given that the brakes here are very easy to replace. True, we wish the brake system were a bit better, but taking into account the price tag of this walker, we do not advance on it too many demands. Moreover, we believe it can be a stellar choice for all those that find it unreasonable to pay an arm and a leg for a top-shelf rollator but still want it to be durable, sturdy, compact, and light. 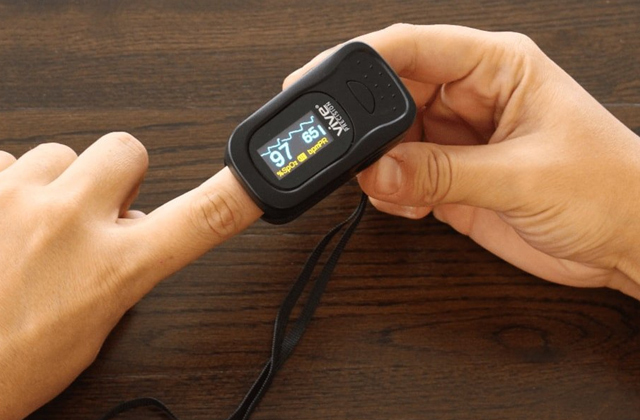 With the Drive DeVilbiss Healthcare R8, you will close the deal. 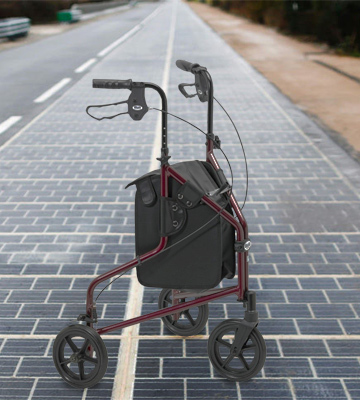 For those that need a walker both to help carry heavy objects and to ease the strain on the body, the Homecraft Quartz is likely to be the best option. With a reinforced metallic basket that can hold quite a lot of belongings, this sturdy yet lightweight rollator offers secure transportation to anyone who falls under the weight limit of 160 kg. 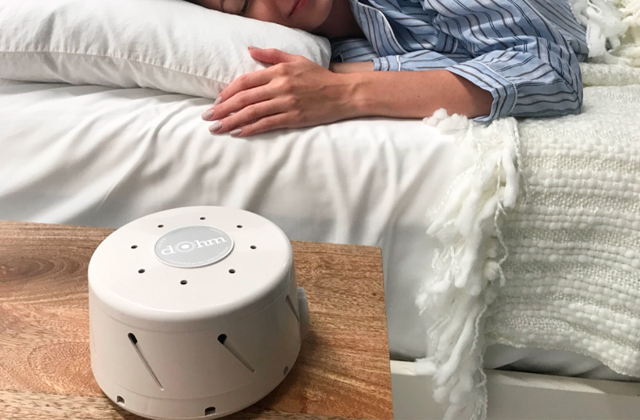 In addition to the capacious basket, the Homecraft Quartz is equipped with a comfy backrest and a seat so that a user can make stops during long walks and have some rest, making it one of the best options for senior consumers and recovering patients. 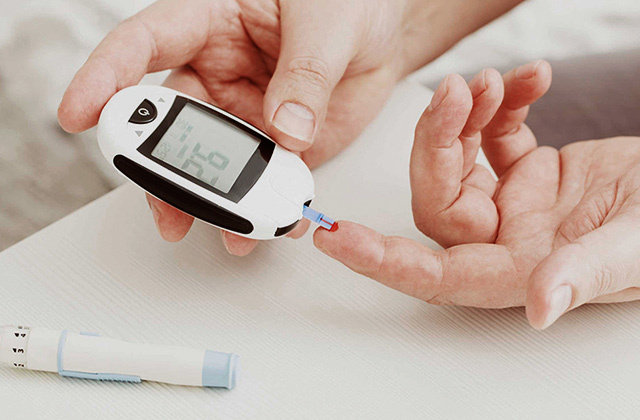 Another extra feature that adds to the usability of this walker is a zippered pocket which is located right underneath the seat where a user can store those things he or she often carries around, like medicine, for example. 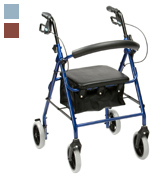 The walker is very easy to use, manoeuvre, and operate. Also, it's very easy to adjust it to suit different needs. Suchwise, the bag that comes included in the kit can be attached not only to the front of the frame but also below the seat in case this suits you better or you'd like to fold the thing. For a very modest cost, Homecraft Quartz presents the kind of rollator that combines reliability, sturdiness and high-quality design allowing you to enhance mobility while not spending a fortune on a purchase. 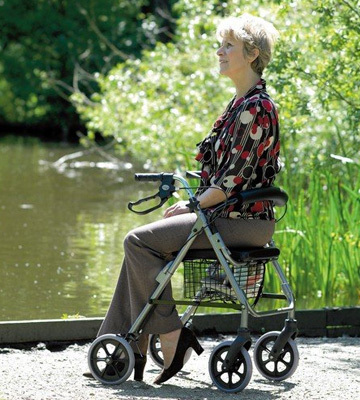 Equipped with four wheels, the walker is designed to move freely over any terrain. The only thing you should keep in mind is that regular maintenance on the bearings is required if you want to prolong its service life. One of the other effective ways to soothe legs and feet after long walks is by applying a foot massager. If you do not own one yet, do not skimp on reading this selection of 5 most popular models available on sale. If what you seek is a quality product that can ensure reliable performance and not break your bank - the Days 240L is the type of walker that may fit the bill. Although this rollator has no bells and whistles which usually come with fancier models, every part of it is well-made, sturdy, and designed with close attention to details. The Days 240L is best suited for consumers that need a mobility aid for short walks rather than a post-recovery device. 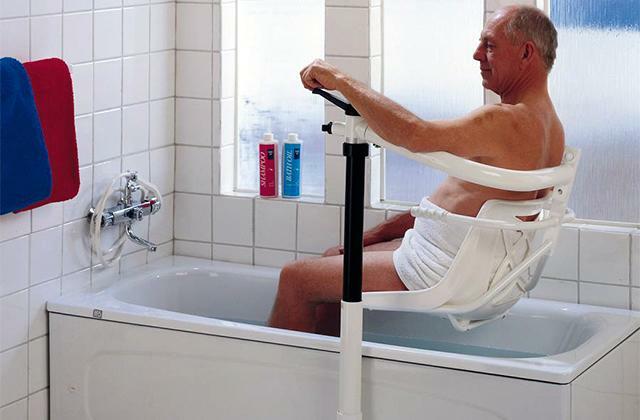 It features no seat and has a three-wheel design, meaning a user won't have an option to have a rest during walks and will need to constantly push it before himself/herself. If you do not recover from surgery and have no serious limb injuries, though, you should appreciate that it's very manoeuvrable and light in weight. With no seat and weighing around 5 kg, it doesn't pose any challenge when it comes to its storage or transportation. Plus, it includes a carry bag that will come in handy in case you decide to travel, eliminating the need for excessive packaging. Overall, the Days 240L is pretty basic, yet, if you do not look towards spending several quids on a product you might need to use only for a couple months and you want a foldable walker to use in public places and on travels, it can be your perfect choice. Easy to control and lightweight, it will fit in any doorway easily allowing you to navigate freely in deserted and crowded places alike. A rollator is a mobility aid fitted with 3 or 4 wheels that allow managing direction and speed of walking and reducing the pressure on a user's locomotor system. Rollators visually resemble strollers and are equipped with brakes like bicycles. 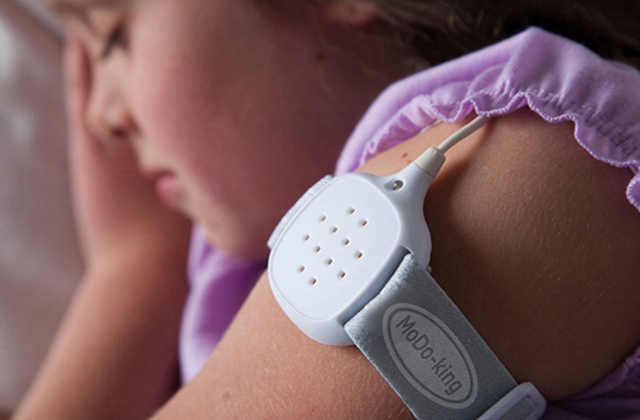 They are designed to help the aged and injured people recover from traumas and accidents. Unlike a wheelchair designed for a person unable to walk independently, a walker like this one provides assistance to a user, making walking easier for him or her. So, rollators may prove useful for those having gait difficulties but able to walk and can be considered as an alternative to crutches or canes. While most rollators come equipped with seats, there are certain models that do not have a seating spot, which is why it's worth paying attention to the design peculiarities of the chosen model. On top of that, there are many models that come including additional things such as bags or extra pockets for keeping personal belongings, shopping, and other essentials that a user may need on the road. All of this makes rollators a much more practical and, obviously, more attractive option for users that seek not only mobility aid but also convenience. Although rollators often act as an alternative to crutches and walking canes, they might turn out to be a poor fit for those people who have some kind of limb injuries and those who do not need to cover long distances on a daily basis. For these very purposes, we recommend you to read our crutches and walking canes reviews as well. When selecting a rollator, you should know exactly the height and the weight of a person who you get it for and consider at what height the handles are placed. To give a user a snug fit, they should be at the same level with handrests. The handles should also be height-adjustable and convenient to hold since these are the key criteria that determine the unit's safety of use. 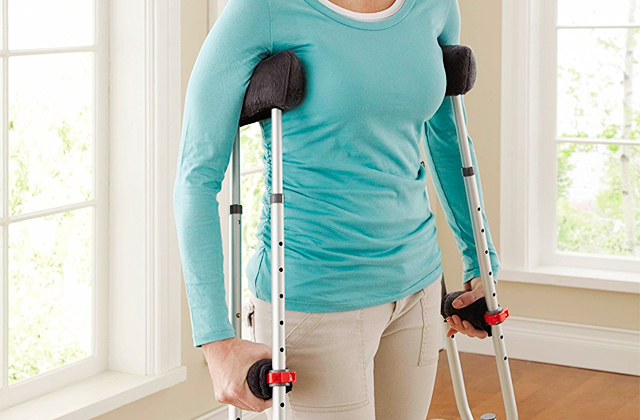 People with arthritis should opt for the model with larger handles allowing more comfortable and pain-free grip. 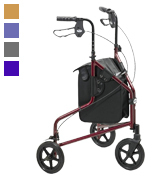 Looking for a rollator, remember that models may have 3 or 4 wheels. Three-wheeled ones offer better mobility and are perfect for indoor use. Four-wheeled ones boast cool stability even on a rough terrain, so 4-wheeled models are splendid mobility aids for people spending lots of time outdoors. In addition, rollators can be foldable and non-foldable. Foldable walkers have mechanisms that allow a tool-free collapsing, so they can be used at home or hospitals and transported in vehicles. Non-foldable ones have a steady and firm structure. Once you determine how many wheels you need, consider their size. Small wheels will be better for indoor use, while larger ones are more appropriate for the open-air application. Wheels can be removed for maintenance or replacement if necessary. Rollators are usually equipped with pneumatic or locking brakes and they should work duly and easy to handle for both teens and adult users. You shouldn't operate one without breaks as that may be highly dangerous. Taking into account the double-handed design of rollators, a basket for buyings or hand luggage would be great to have. This item may come in handy for both grown-ups and children that may carry toys and personal effects. 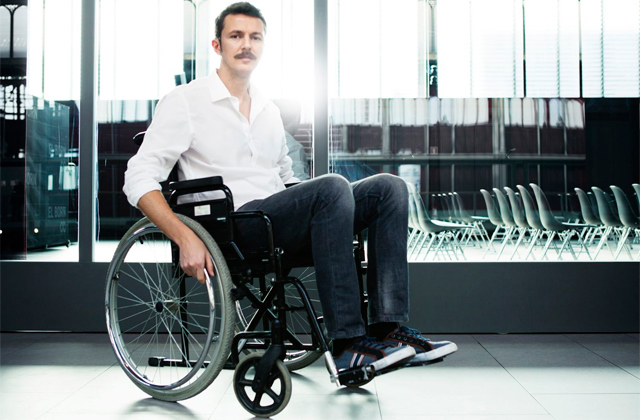 A seat is one more important convenience and some models even come with backrests for comfortable sitting.